We would like to emphasize our YouTube channel, as there will be some videos with interviews published in the very near future. We wish for the readers that this book will help in creating a successful science career – it’s a fascinating domain, which is shaping our future. If some of the advice has helped, please contact us. We are also happy to arrange an interview with you on our YouTube channel. If you should be interested in contributing in others’ science careers, we are happy to arrange a Skype interview and publish it as part of our YouTube channel. 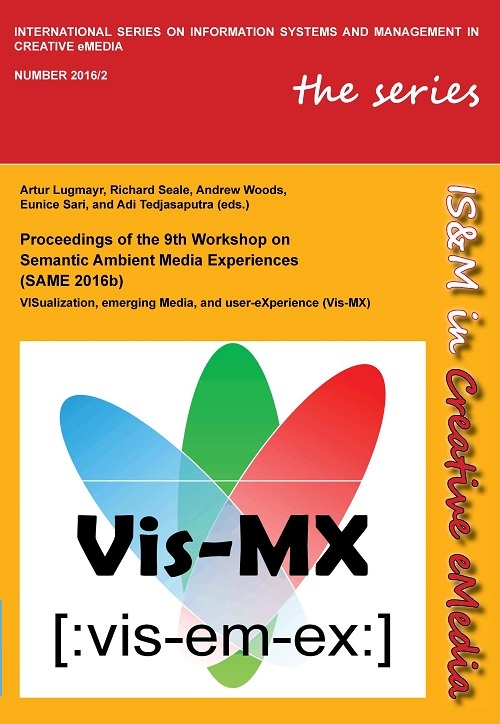 The 9th Semantic Ambient Media Experience (SAME) proceedings where based on the academic contributions to a two day workshop that was held at Curtin University, Perth, WA, Australia. The symposium was held to discuss visualisation, emerging media, and user-experience from various angles. 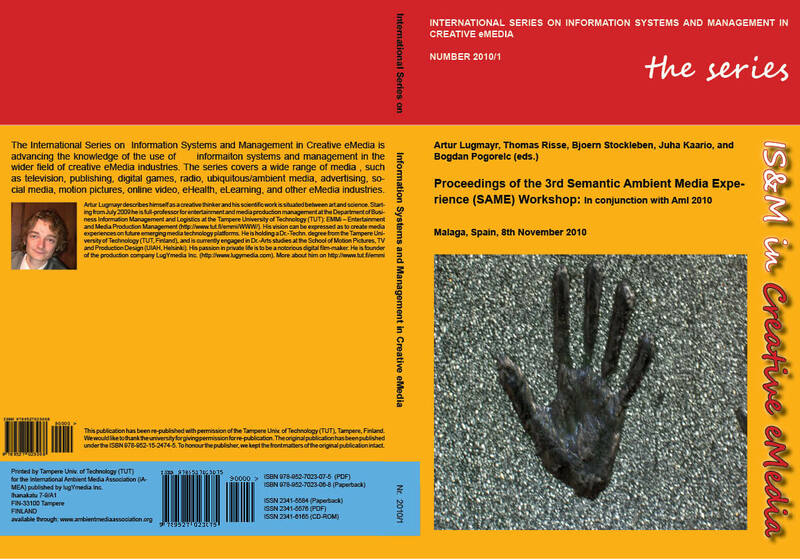 The papers of this workshop are freely available through http://www.ambientmediaassociation.org/Journal under open access as provided by the International Ambient Media Association (iAMEA) Ry. 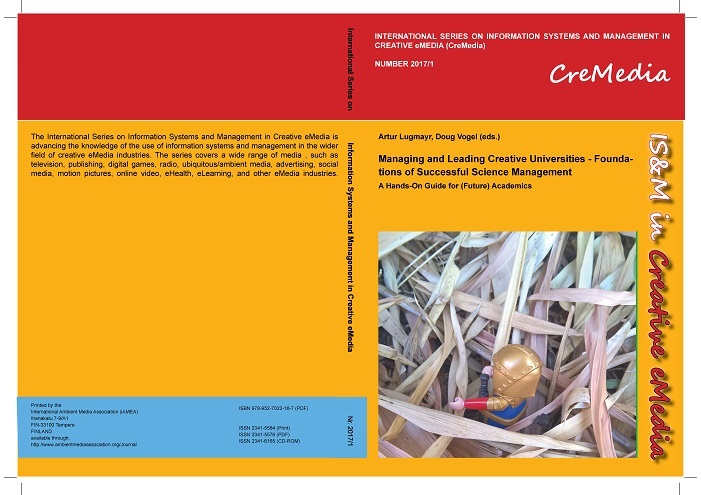 iAMEA is hosting the international open access journal entitled â€œInternational Journal on Information Systems and Management in Creative eMediaâ€, and the series entitled â€œInternational Series on Information Systems and Management in Creative eMediaâ€. 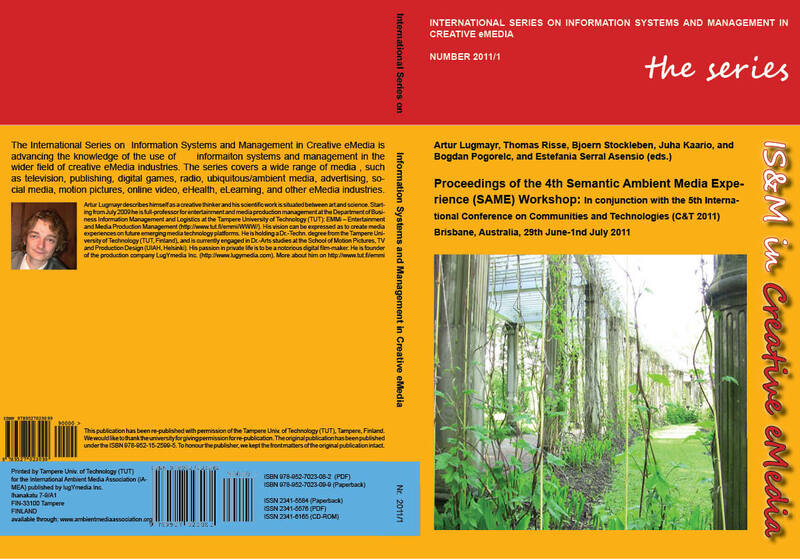 For any further information, please visit the website of the Association: http://www.ambientmediaassociation.org. Ambient (aka pervasive, ubiquitous) media environments offer a plethora of context data as well as opportunities for context-related content production and consumption. They are the perfect environments for providing users with highly contextualized data-driven services and data-driven visual and additive content. To build such ambient media environments, semantics play an essential role to deal with a seamless integration of the urban context as well as the digital services to be provided. The application areas range from smart cars, urban informatics, smart homes, ambient assisted living, smart media environments, and new interaction devices. We aim to bring together communities involved in different semantic applications needed for the creation of ambient media environments, like: digital services, media interoperability, open data, user interfaces, human-computer interaction, user-centred and interaction design, user experience, business modelling, knowledge management, etc. This will allow identifying common themes between the participant's current work and research agenda, and, eventually, leading to the discovery of new insights and opportunities. The primary research goal is to assess new trends for applying semantics in digital services for urban contexts and the disciplines involved in the creation of these services. The workshop organizers have extensive experiences in organizing high level workshops through the non-profit International Ambient Media Association (AMEA) they founded. 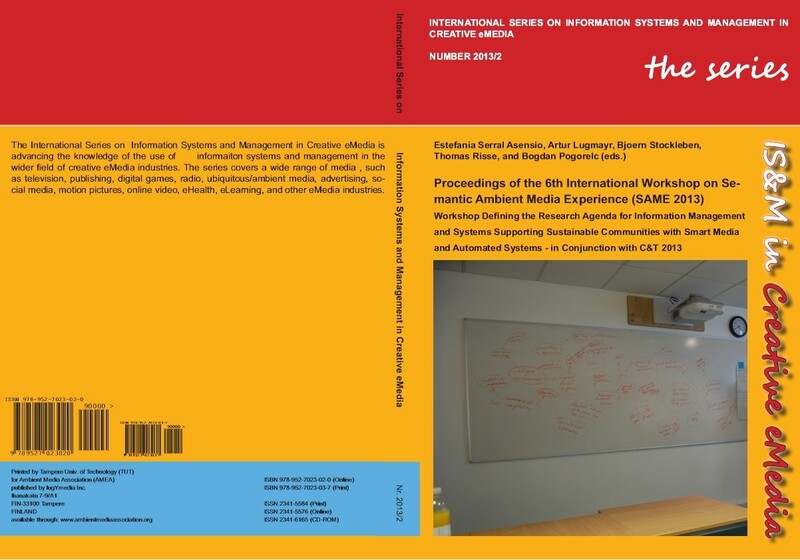 The organizers have also established an own free open access series and journal within the association, attracted large audiences, and disseminated the results through high level journal special issues as e.g. 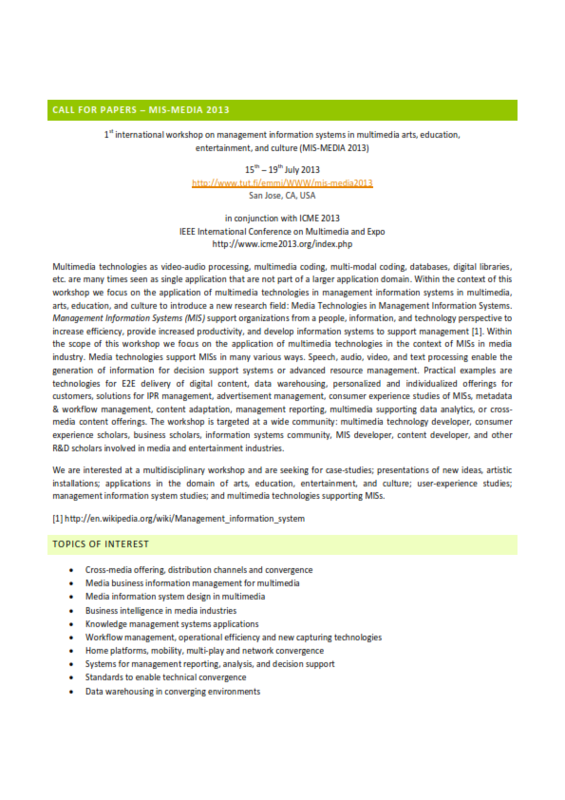 Springer-Verlagâ€™s Multimedia Tools & Applications. 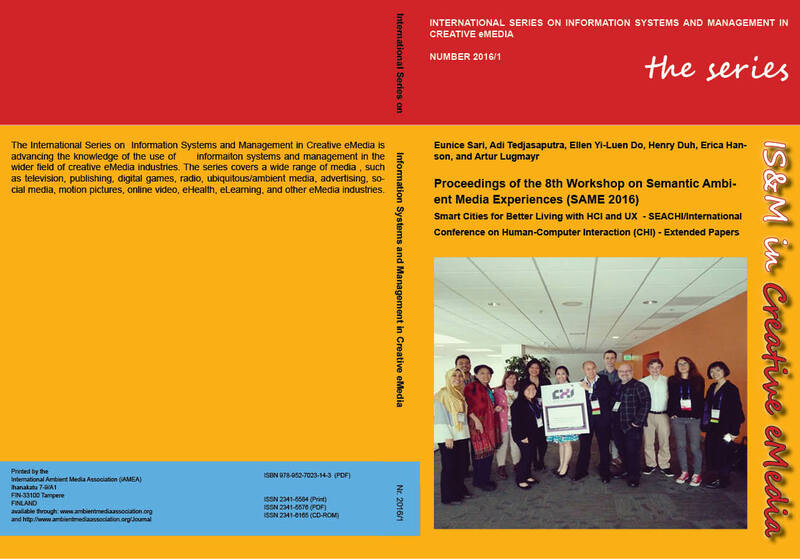 The 8th Semantic Ambient Media Workshop Experience (SAME) Proceedings where based on a collaboration between the SEACHI Workshop Smart Cities for Better Living with HCI and UX, which has been organized by UX Indonesia and was held in conjunction with Computers and Human-Computer Interaction (CHI) 2016 in San Jose, CA USA. 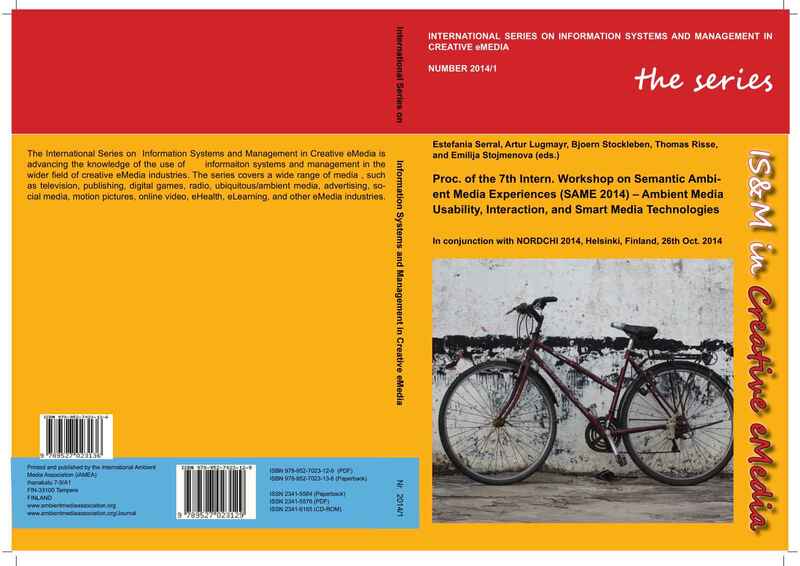 â€œInternational Series on Information Systems and Management in Creative eMediaâ€ (see http://www.ambientmediaassociation.org). Digital and interactive technologies are becoming increasingly embedded in everyday lives of people around the world. 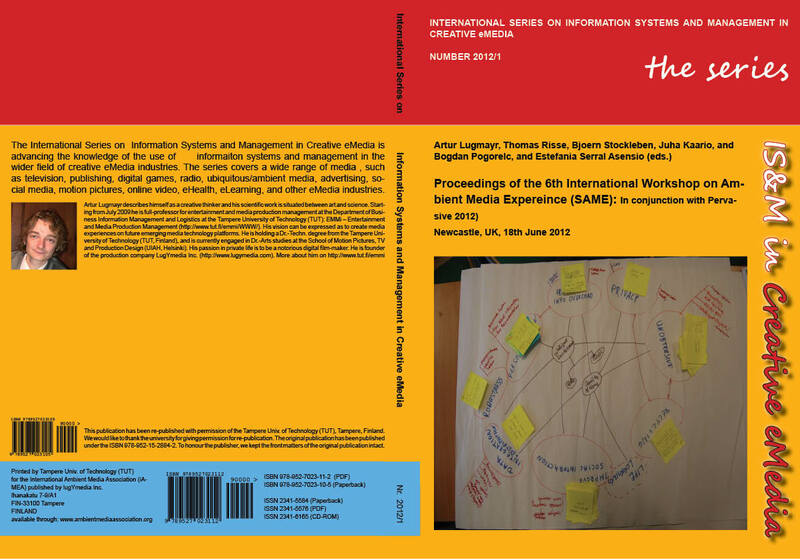 Application of technologies such as real-time, context-aware, and interactive technologies; augmented and immersive realities;, social media; and location-based services has been particularly evident in urban environments where technological and sociocultural infrastructures enable easier deployment and adoption as compared to non-urban areas. There has been growing consumer demand for new forms of experiences and services enabled through these emerging technologies. We call this ambient media, as the media is embedded in the natural human living environment. 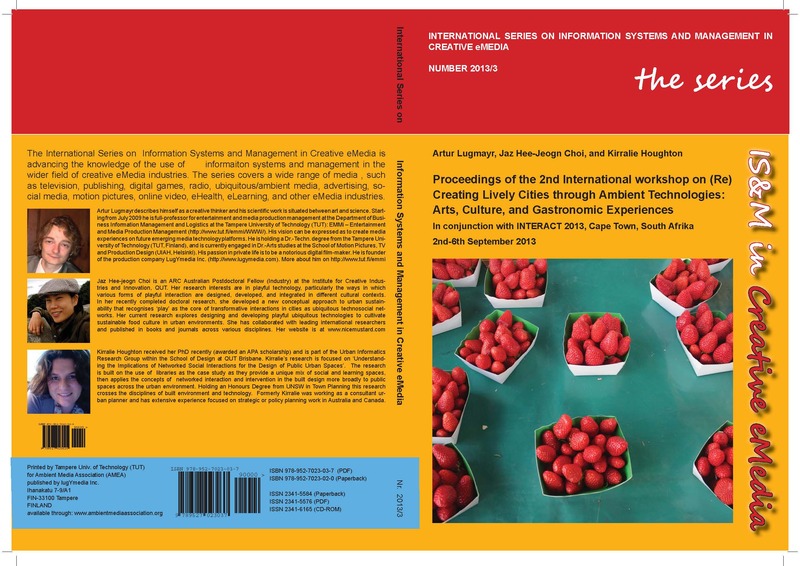 This workshop focuses on ambient media services, applications, and technologies that promote peopleâ€™s engagement in creating and re-creating liveliness in urban environments, particularly through arts, culture, and gastronomic experiences. Media and entertainment industry is the third largest industry segment for investments in information systems. And this particular industry segment is faced with tremendous challenges in terms of organizational, transformational, leadership, customer behavioral, and technological changes. One particular challenge is the transformation of the analogue media world into its digital counterpart. 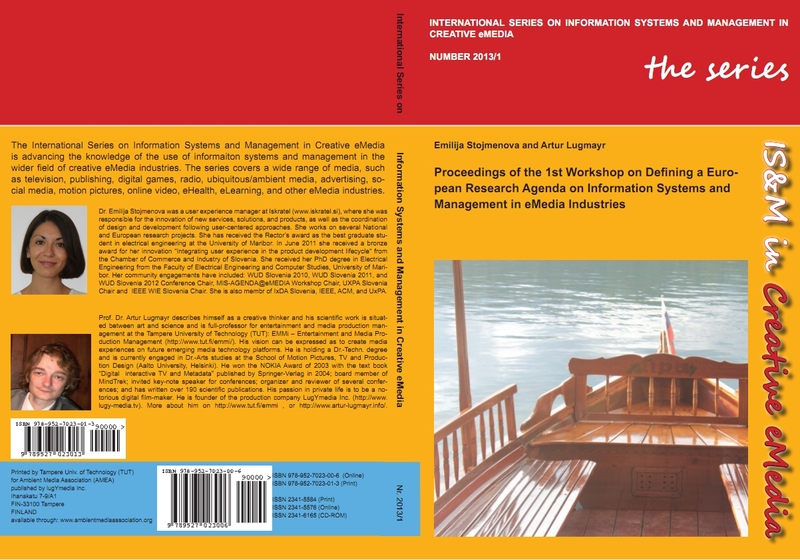 As of today, the successive research of business information management and systems focusing on media and entertainment industries is rather fragmented and stretches over a wide area of research islands such as social media, eCommerce, or eBusiness. 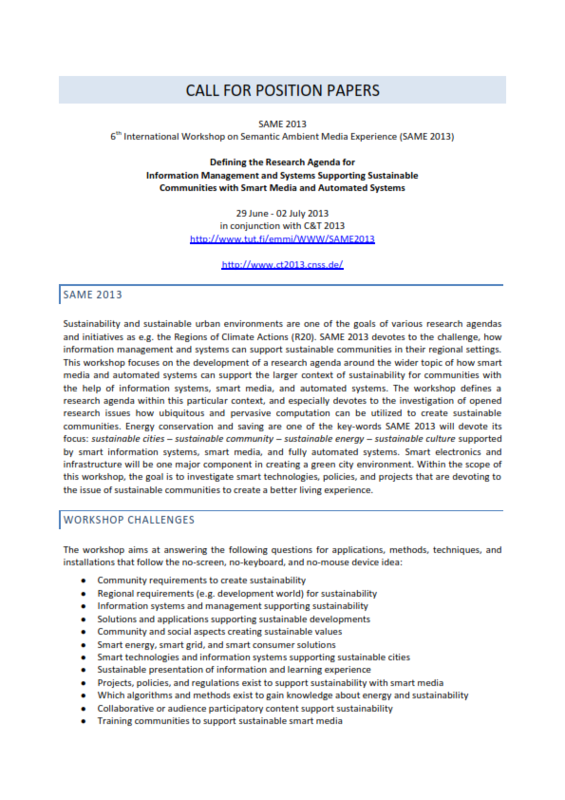 To face this challenge, this workshop focuses on the definition of a European research agenda of information management and systems for media and entertainment industries and highlighting their particular needs in production, distribution, and consumption. 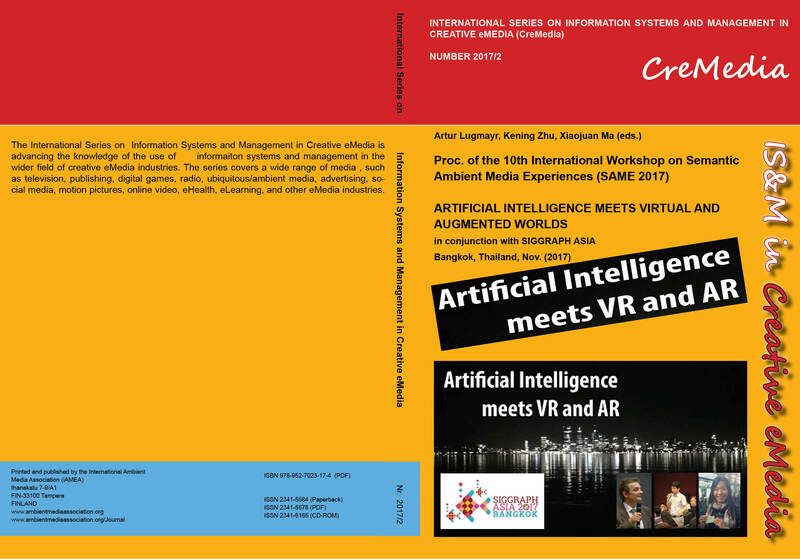 The workshop shall gather a scientific community around the theme of business information management and systems in the larger context of media and entertainment industries. The outcome of the workshop shall be a roadmap of research challenges, and a structured approach towards information management & systems in media and entertainment industries.